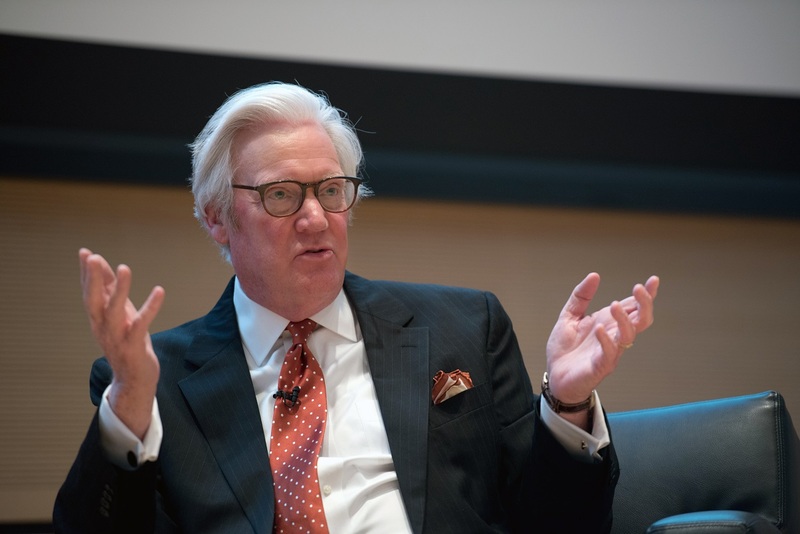 Acclaimed broadcast journalist Bob Dotson G’69, an alumnus of the Newhouse School at Syracuse University, will teach broadcast and digital journalism (BDJ) students beginning this fall. Dotson will co-teach the Master Storytelling course with new BDJ faculty member Les Rose, whose 38-year career in broadcast journalism included 22 years with CBS National News Network as a photojournalist and field producer. Rose spent seven years working with CBS News correspondent Steve Hartman on the series “Everybody Has a Story.” Dotson will teach remotely, and will also come to campus to meet with students in person. “This course will provide students with top-notch writing and story construction skills from Bob, and video and production skills from Les—two professionals who spent their careers doing this at the highest level,” says Chris Tuohey, BDJ chair. Tuohey expects much of the student work from the class to air on “Mornings on the Hill,” a weekly morning show produced by BDJ students. Dotson earned 120 national and international awards for producing and reporting, including six Edward R. Murrow Awards for Best Network News Writing (a record) and 12 more for Reporting. He also received eight National Emmy Awards and 11 nominations. In addition, he was honored by the William Allen White and Robert F. Kennedy Foundations and earned a CINE Grand Prize and multiple Alfred I. duPont-Columbia University Awards. On Oct. 24, 2015, on the 40th anniversary of the day he joined NBC, Dotson filed his last American Story and said goodbye to his viewers.